A fun DIY Christmas Tree Ornament craft, made using wreath garland, cinnamon sticks, twine, buttons, pom poms and jingle bells. If you live in an area where the weather is cold during December, chances are your kids are in the house a lot more. There’s also a good chance that you’ll hear them complain about being bored over and over and over. This is why it is a great idea to have crafts for your kids to do to keep them busy. 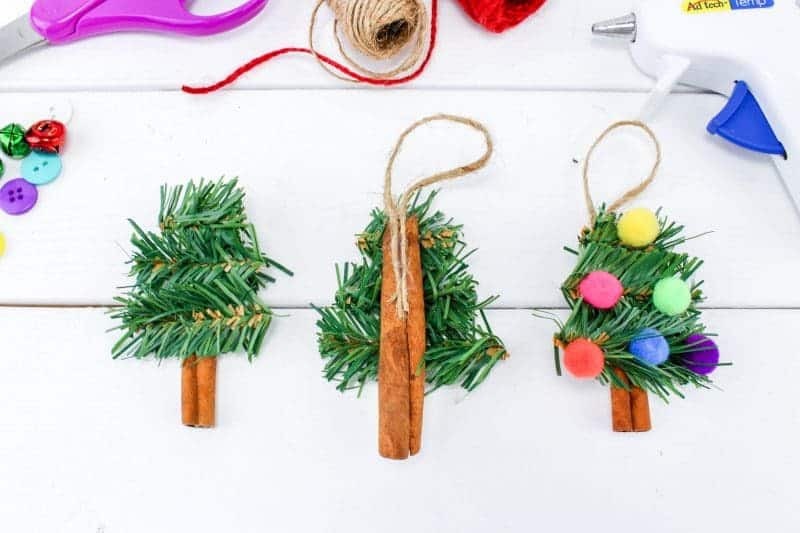 This DIY Christmas Tree Ornament craft is the perfect indoor activity for the kids on a chilly winter day. In fact, this homemade Christmas ornament craft is great for children of all ages and adults alike. 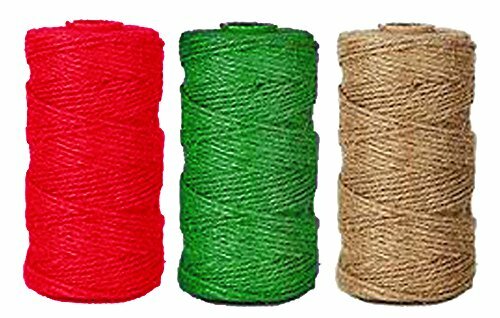 For younger children, you will want to help them form the Christmas tree using the garland and twine. 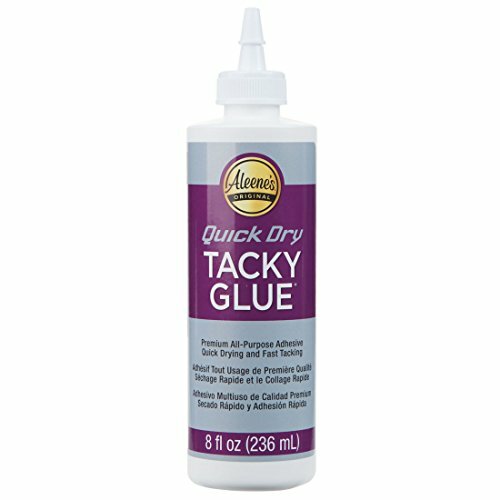 Then, you can allow the children to go wild decorating their trees, using craft glue instead of hot glue. 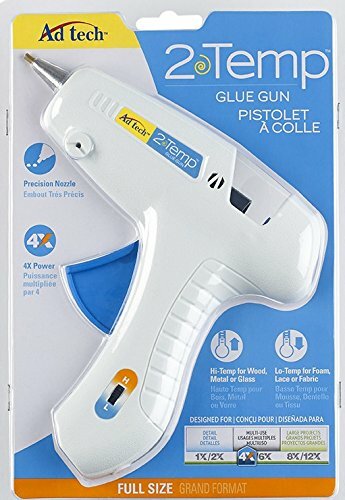 This is the type of craft that will keep kids busy for hours. We made five ornaments, but you could easily make as many as you want. And, if you don’t have everything you need on hand, you can find pretty much everything you’ll need at the Dollar Tree – even the cinnamon sticks. 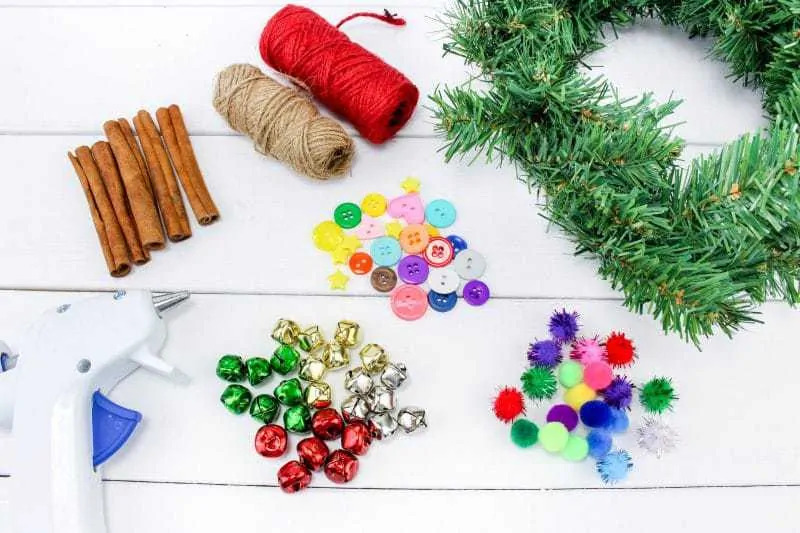 You can easily customize what you use to decorate the Christmas tree ornaments. 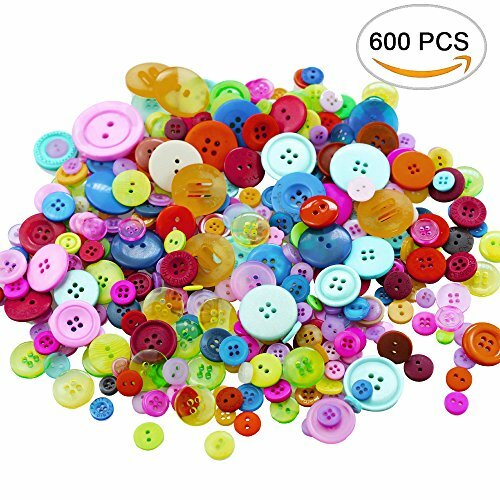 We used colored buttons, pom-poms, and jingle bells, but you can choose to use just one of those, or use something else altogether such as jewels or foam stickers. 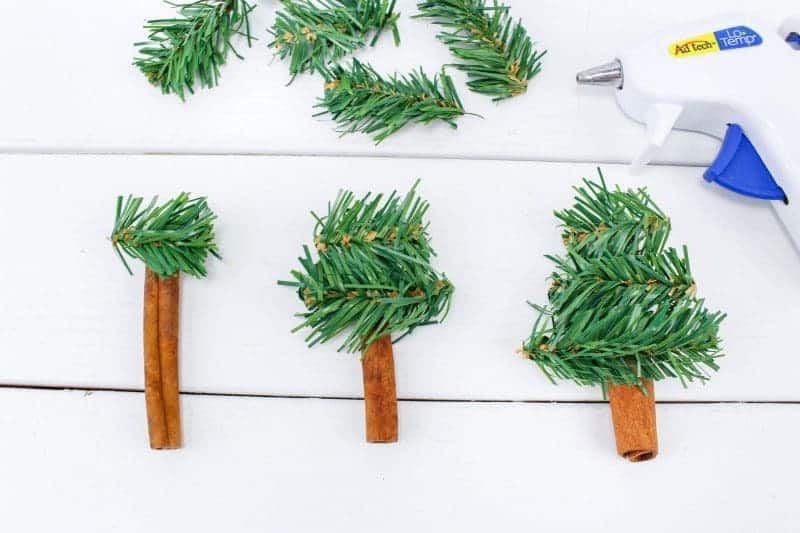 What’s really great about these ornaments is that the cinnamon sticks add a nice scent to your Christmas tree. 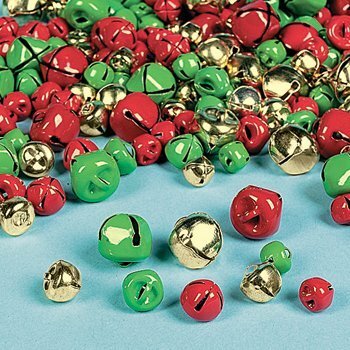 If you have an artificial tree, you’ll love the smell of cinnamon these ornaments provide. It really gives the room a nice “Christmassy” scent! If you’re a teacher, this homemade Christmas Tree Ornament is the perfect craft for the classroom. 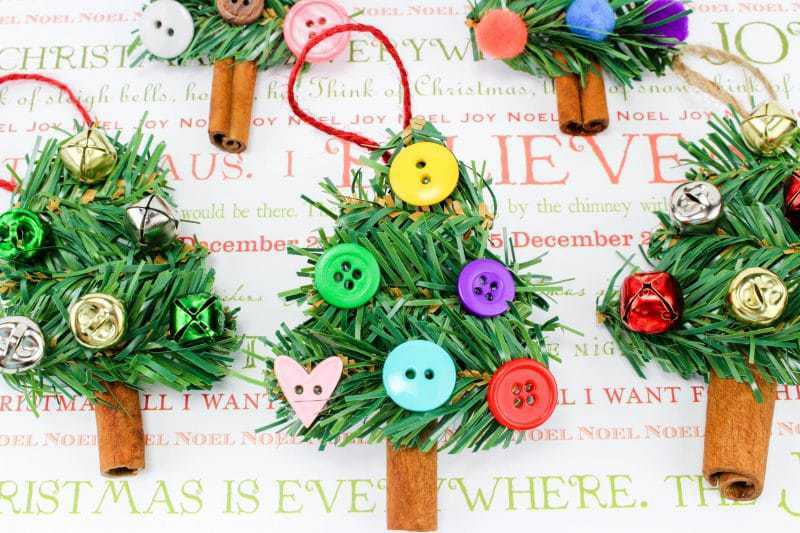 Each child can make an ornament to take home to put on his or her Christmas tree. Parents will love that their kids made something that they’ll be able to treasure forever. 1. 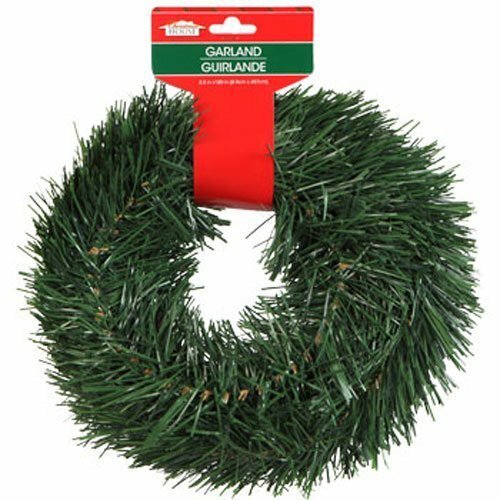 Cut 5 pieces each of wreath garland 1 ½ inch long, 2 inches long, and 2 ½ inches long. 2. Next, glue the 1 ½ inch pieces at the top of each cinnamon stick. Glue the 2 inch pieces in the middle, and glue the 2 ½ inch pieces below the middle pieces. Make sure they are all touching, and there is a bit of cinnamon stick showing at the bottom to look like the trunk. 3. 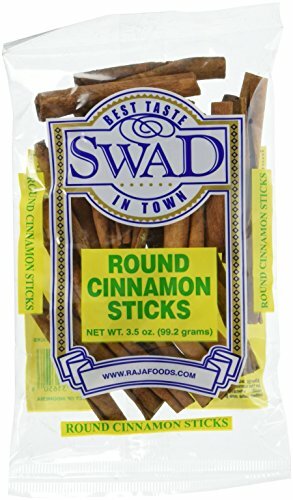 Then, cut a piece of twine, bend in half, and glue the open ends together on the back of each cinnamon stick. The loop will be at the top of each stick which is the hanger. 4. 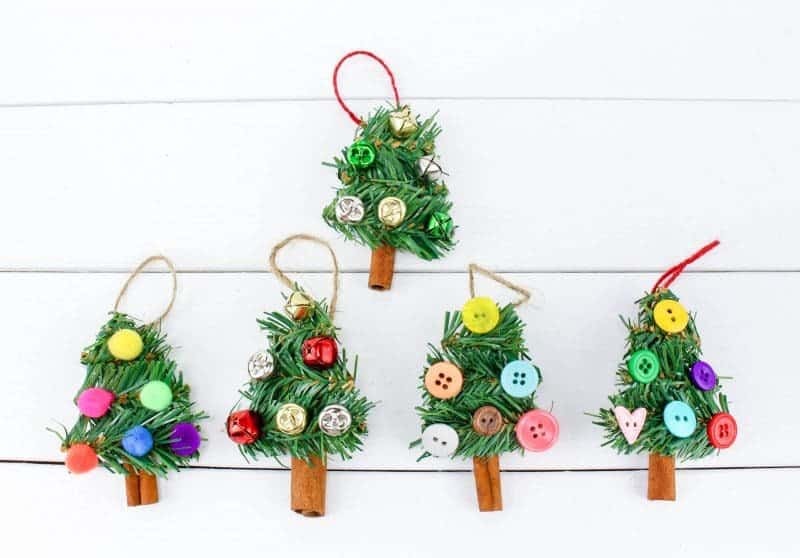 Finally, decorate the trees by gluing on the pom-poms, buttons, and jingle bells. 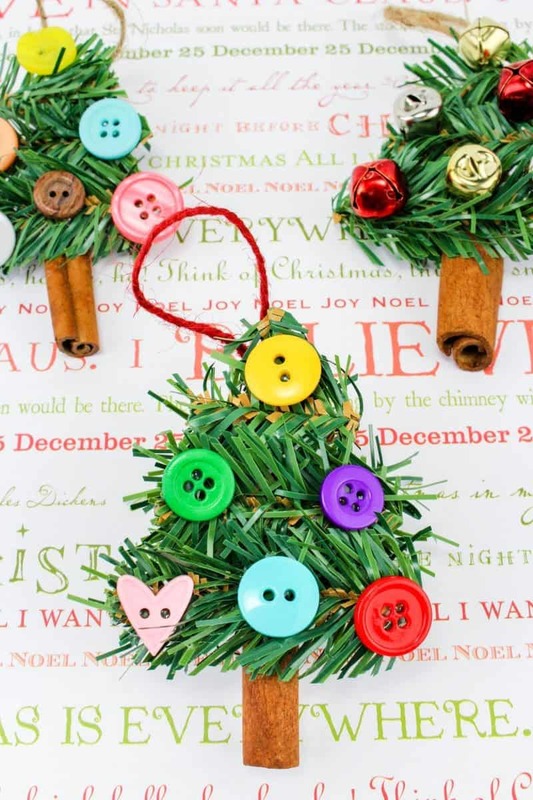 I hope that you enjoy this fun and festive DIY Christmas Tree Ornament craft. Happy crafting and happy holidays! This is a great idea. Seems like we always have old wreaths that are past their prime that need to be tossed. 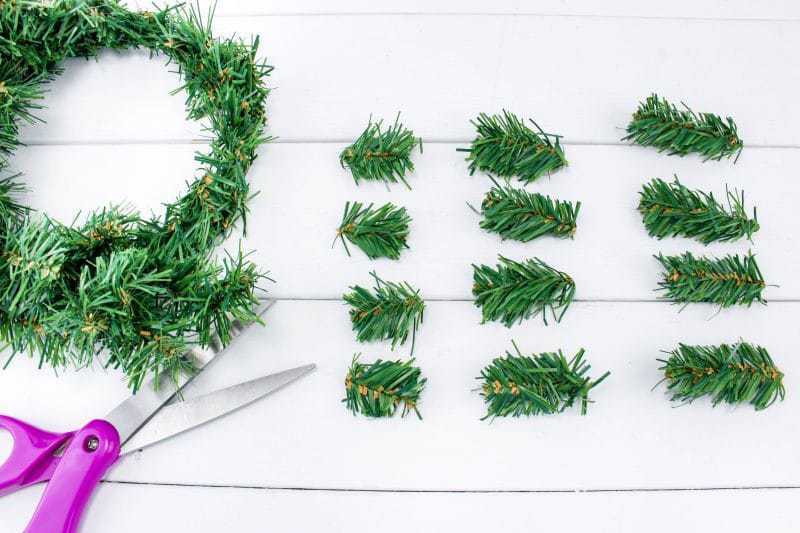 This could actually be a great way to repurpose those old wreaths! Those are adorable! I love making homemade ornaments. Gives the tree a nice, personal look to it! 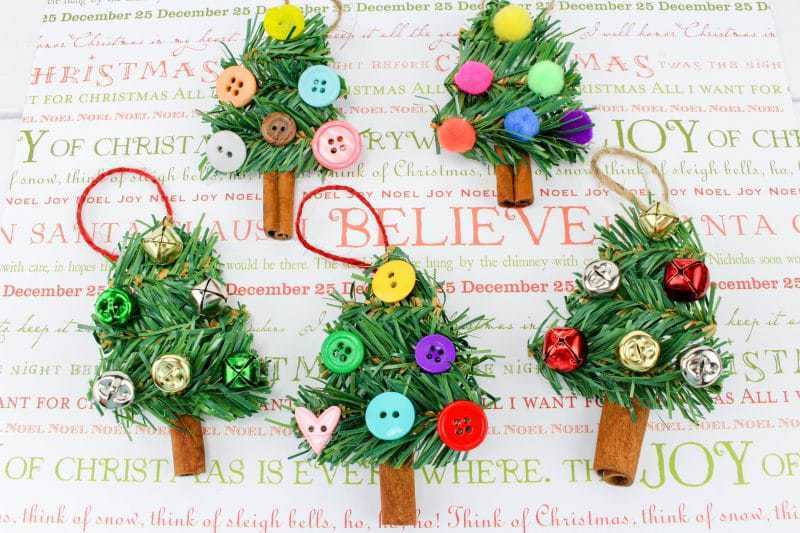 These ornaments are adorable, i think we will make these at our Girl Scout Christmas party! 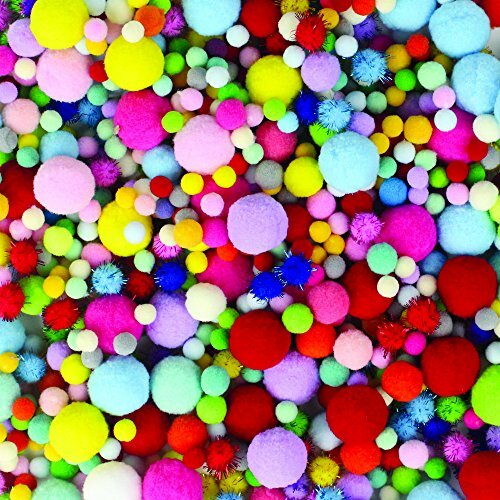 What acute and fun craft idea. This would be great for my grandsons to do. What an adorable craft thanks for sharing I cant wait to get the materials to make it.